What does being a Strathclyde Siren mean to you? For me, it means getting to live out my dream every day. 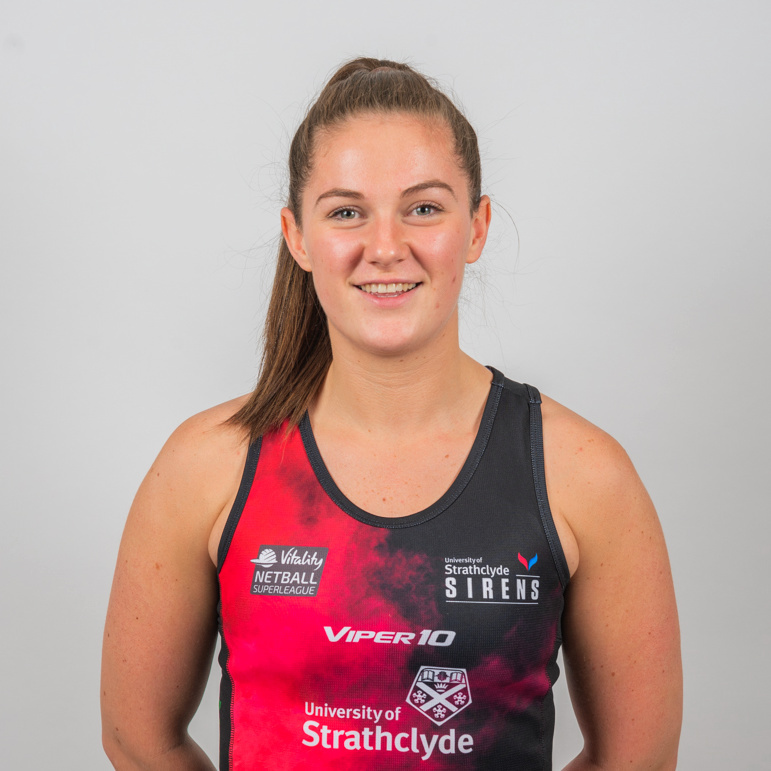 Playing at Superleague level is something I've worked tirelessly to achieve and now I love nothing more than pulling on my Sirens dress and getting the opportunity to play against the best netballers in the country in front of the Scottish crowd. As Sirens we try to interact with our fans as much as possible so that we can relate to them and so they can see that if we can achieve our dreams then they can too. What inspired you to play netball? Like a lot of netballers my sister is actually the reason I play netball. She started playing at school and I decided I wanted to try it to see if I could be better than her. As you can see I have always been extremely competitive. What advice would you give to young netballers who aspire to play netball professionally? Don't get caught up in comparing yourself to others, everyone progresses at a different pace. What's important is that you never doubt your ability and continue to work hard. Your opportunity is coming! The best thing about playing netball is… Netball has enriched my life so much but the best thing about netball has to be the netball family I've gained. As teammates we see each other at our best and at our worst but I know that at the end of the day there is always someone there who has my back. Just for fun... If I could take three things on a desert island, they would be… my mum because she always makes everything better, a How to Survive on a Desert island book and some matches. If I had a superpower, it would be… To control time My favourite quote is... "Dream big, work hard, make it happen!" My guilty pleasure is… Eating chocolate after training, just has to be done sometimes! You would never believe if I told you I… Can fly a plane!